Peter (Homepage) wrote: Exceptional shot full of action and with a great lighting. oldshutterhand (Homepage) wrote: Great action. I´d love to do that. Giò (Homepage) wrote: Bellissima! Vorrei capire con che super teleobiettivo l'hai peraltro scattata vista la vicinanza! Adrian Hancu (Homepage) wrote: That WATER DANCE! :) Nice catch! Marcie (Homepage) wrote: WOW! I'm speechless. Great composition..color...waves. Perfect! Michael Rawluk (Homepage) wrote: That is a very cool shot. It is like you are in there with him. Denis (Homepage) wrote: Your way is unstable... and I can predict how it finishes ! Nice picture full of life ! 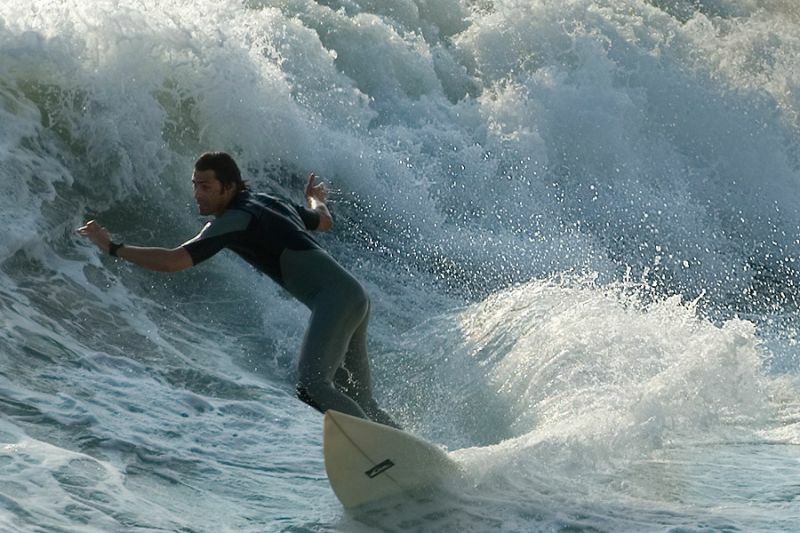 Saxi (Homepage) wrote: great surf shot! love the play with the light and the waves! brian (Homepage) wrote: very dynamic photo, makes me wonder what happens next!